The military standoff on the border between Chinese and Indian troops at the border between China and Bhutan is no nearer resolution than it was last month and is becoming increasing serious, as China hardens its position and makes vitriolic threats targeting both India and Bhutan, the tiny nation between China and India. Chinese troops and construction workers have been constructing a road through Tibet. On June 16, a column of Chinese troops accompanied by construction vehicles and road-building equipment began moving south into the Doklam plateau, which is territory of the nation of Bhutan. Bhutan’s army attempted to block the Chinese troops from entering Bhutan’s territory, but the Chinese troops overran the Bhutan troops. Bhutan invoked a treaty with India and asked for help. India sent in its own troops, leading to a standoff with hundreds of troops on each side, with the potential of deploying thousands more troops if the standoff escalates. According to reports, the soldiers on each side are still unarmed, and the Chinese and Indian troops reportedly clashed by “jostling”: bumping chests, without punching or kicking, in order to force the other side backwards. China claims the Doklam plateau is Chinese territory and points to an 1892 treaty signed by China and colonial Britain. However, Bhutan was not a party to that treaty. At this point we have to point out, as an aside, that China is an international criminal, annexing the territories of other countries in the South China Sea, and building illegal military bases, in violation of international law as determined by a 2016 ruling by the United Nations Permanent Court of Arbitration (PCA) in the Hague, which declared China’s activities in the South China Sea to be illegal. China has used extortion and military force to invade and annex regions from other Central and Southeast Asian countries, including Tajikistan, Kyrgyzstan, Vietnam, Laos and Cambodia. China has even arrested, beaten, kidnapped and tortured its own citizens, peaceful pro-democracy protesters in Hong Kong. So China’s reference to an 1892 treaty should simply be viewed with reference to China’s past history, and treated most likely a hoax or lie or misrepresentation by self-justifying thugs. In fact, several analyses show that China’s claims are invalid. 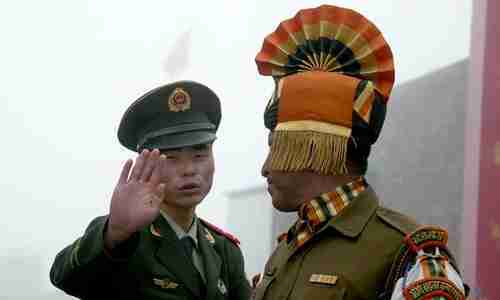 China is reduced to threatening both India and Bhutan with military violence. China is also trying to encourage some kind of “independence movement” in Bhutan, to sever all ties with India, and to put their faith in China. China is also claiming that India has no right defend Bhutan. In fact, India was asked by Bhutan to send in troops to stop the Chinese. China likes to use its vast military complex to intimidate smaller neighbors, including Philippines, Vietnam, and some Central Asian countries. They would have succeeded in invading and annexing this region of Bhutan in the same way, if India had not come to Bhutan’s aid. No shots have been fired in military standoff so far, but China is demanding the India withdraw its troops unconditionally, which India is refusing to do. India and China had a major border war in this region in 1962, and China has been reminding India that India lost that war, and will lose the next one. India is preparing its own troop buildup in the region, and so this could break out into a major new border war at any time. The dispute goes beyond China’s attempt to annex Bhutan’s Doklam plateau. The plateau, also known as Donglang in Chinese, lies at the junction of India, Bhutan, and China, near the northeastern Indian state of Sikkim. Doklam is strategically important due to its adjacency to the Siliguri Corridor, the so-called “chicken’s neck” connecting India’s seven northeastern states to its mainland. China is claiming much of these regions as well, which would remove the only overland route between India and its northeastern states. 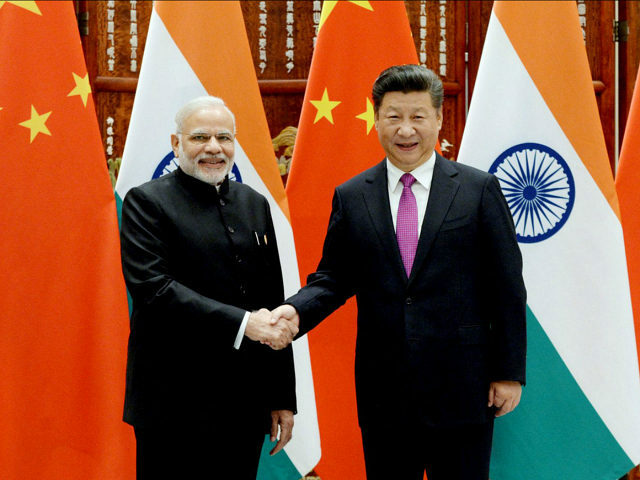 Many analysts in India believe China is planning for war with India and wants to annex these strategic regions belonging to India and Bhutan in order to gain a military advantage, in anticipation of that war. By using this kind of “salami slicing” technique, China gains control of larger and larger regions, one piece at a time. Chinese thugs have already done that in the South China Sea, where they annexed one region after another, always lying about their intentions, until now they have military control of most of it. From the point of view of Generational Dynamics, China is preparing for war with the U.S., India, Russia, and several of its other neighbors.